You might have spotted in my Instagram stories, that I took the newest Volkswagen Arteon R-Line for a test drive. 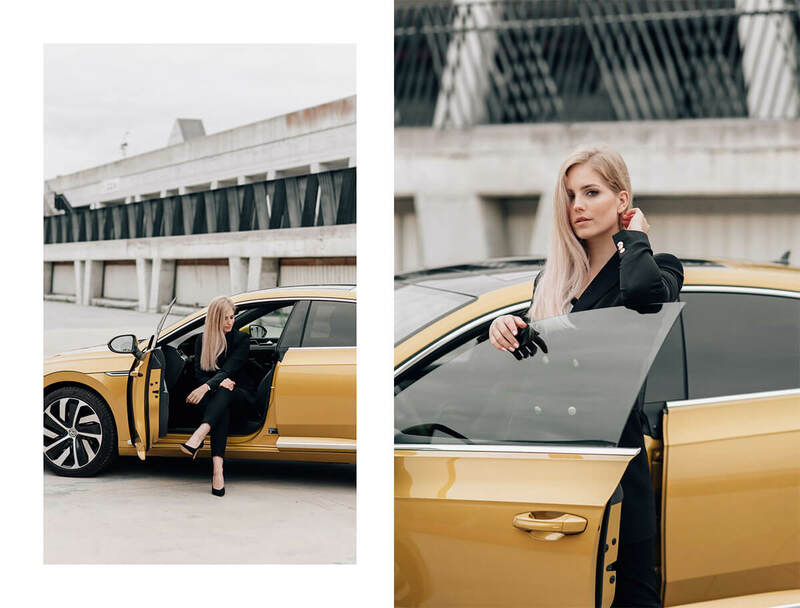 Instead of testing our new mascaras, trying out a new powder or eyeshadow, I got the chance to test out a car over the previous weekend. Even though the weather wasn’t at its best, I had an amazing time driving this stunning and luxurious new Volkswagen. 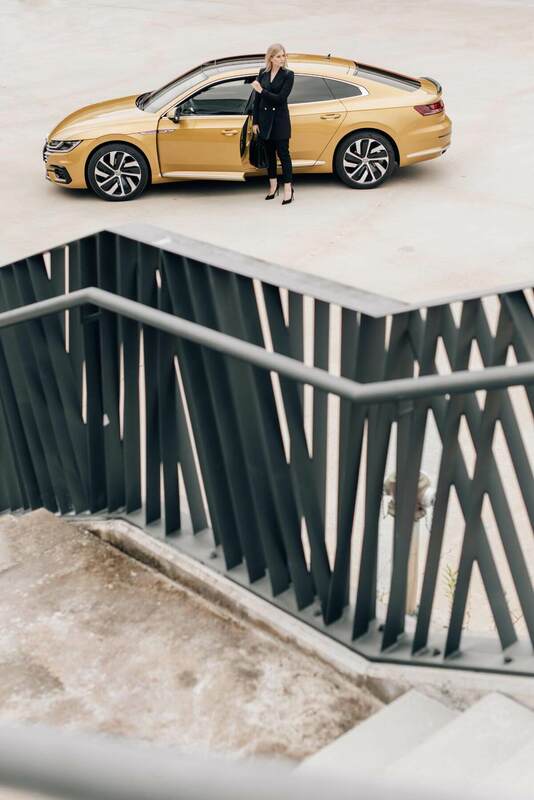 The name Arteon derives from “art” and the suffix “eon,” which indicates it is a premium model. 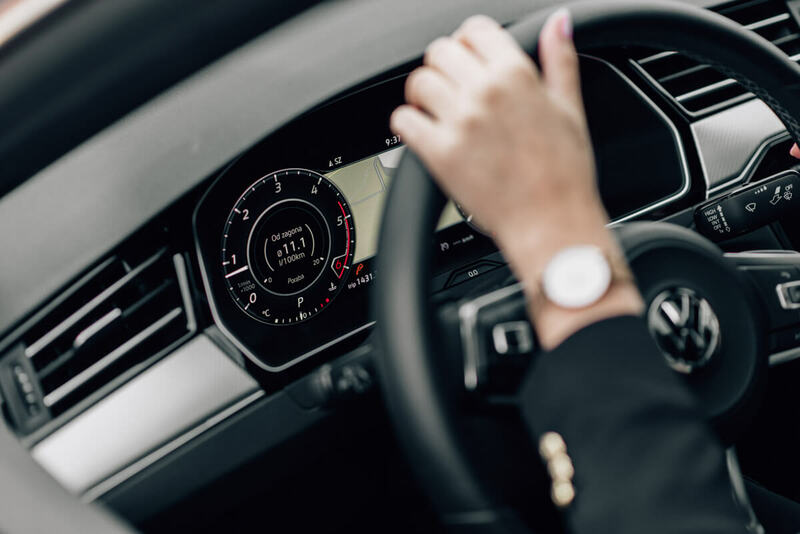 A car really offers you true freedom. 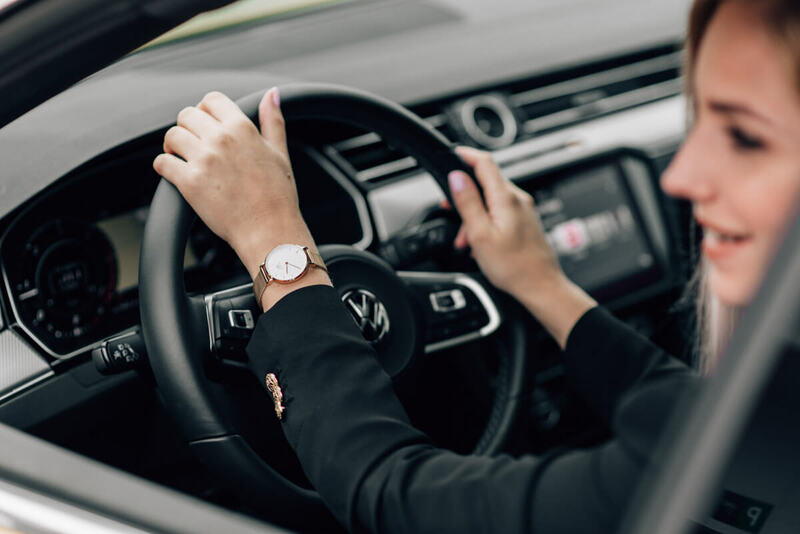 Me, personally when it comes to cars particularly, I appreciate reliability, safety and comfort. I consider myself an aesthetic person, and there’s no surprise the look is also something extremely important. 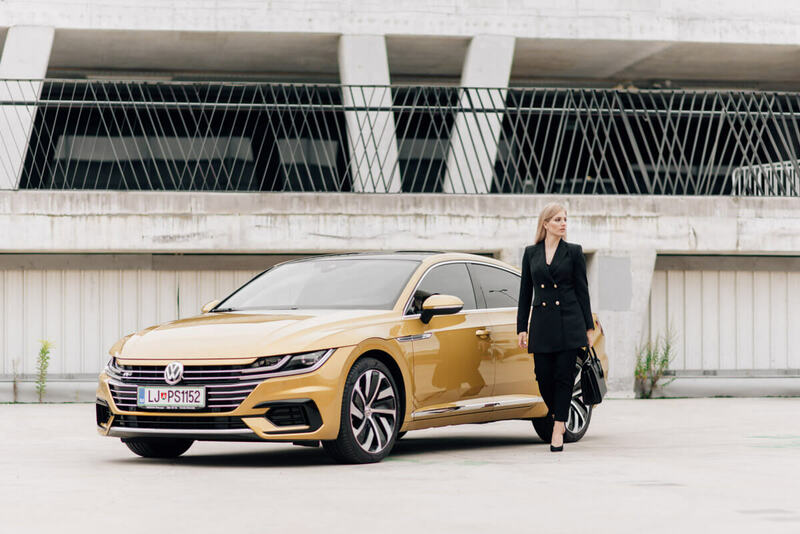 I must admit, the first time I saw the Volkswagen Arteon, I was totally smitten. 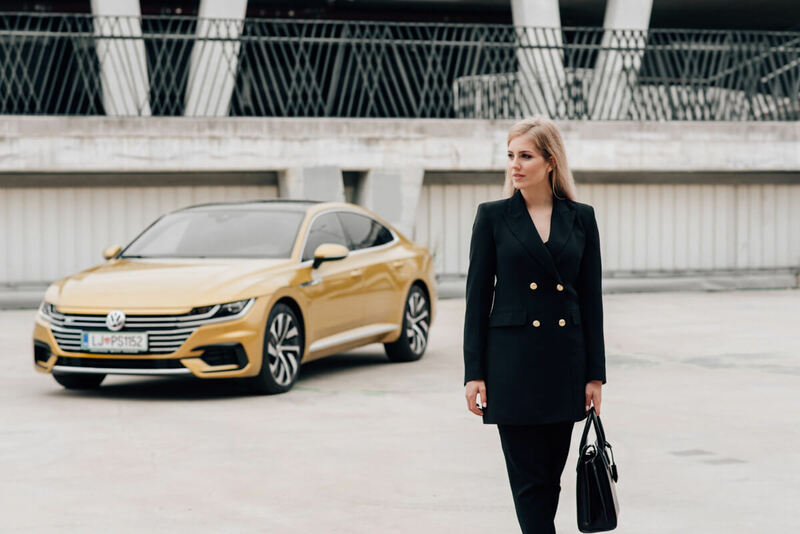 Arteon is definitely the most luxurious and stylish car Volkswagen has to offer. It is an upgrade for the Passat, it is for sure more sophisticated, it is larger (over 4.8m in length! ), but still remains true to the Volkswagen motto: staying “the people’s car”. Extremely spacious hatch with a lot of cargo room (if you follow my Instastory @ajdasitar, you know what I am talking about! ), elegant frameless side windows, panoramic sunroof (which sadly I didn’t have the chance to fully open), spacious and luxurious interior (which is in R-Line trim even more sophisticated) and daring exterior with the aggressive look of the LED headlights, complements the interactive features, that make the drive even more safe, comfortable and fun. 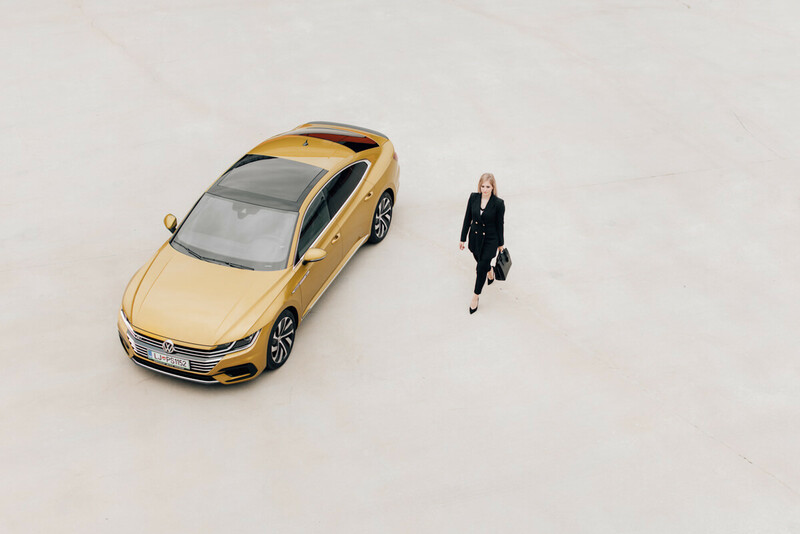 Volkswagen Arteon is probably the longest car I had the chance to park in Ljubljana’s city centre, but it was a piece of cake thanks to the innovative driver assistance system. 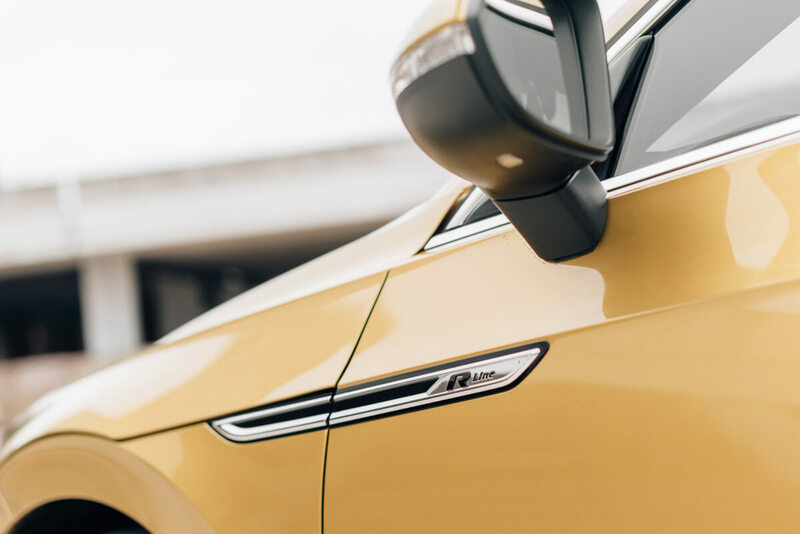 Volkswagen Arteon is a blast to drive and expected to turn heads thanks to its daring looks. The unique Kurkuma Yellow colour was probably one of the main reasons I got so much attention on the road during my prolonged weekend with it. A novelty on the road, I would gladly drive once again.